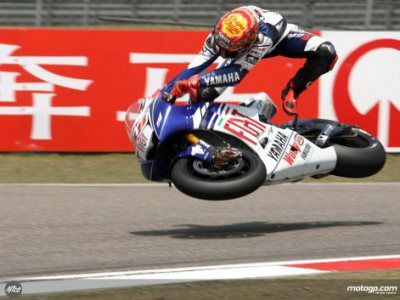 1 motorcycle races | This Blog Rules | Why go elsewhere? Well just look at this talented Honda driver- isn’t it beautiful to win a race with such an advantage that you can allow yourself a moment of proudness overflow? 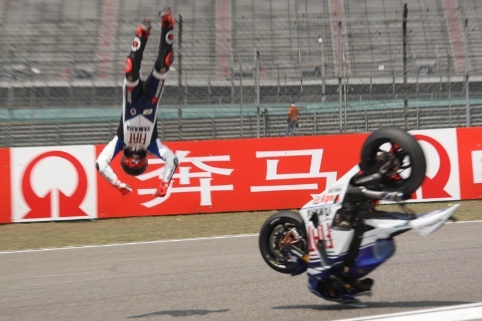 We all know that such races are sometimes photo finish situations and that pilots need absolute talent, maneuverability, focus and ridiculously state-of-the-art motorcycles, but even so, diving into a curve like this deserves not only praise but awe. There is a moment, right before the race starts, when you know the pilots are preparing themselves to give it all- and I do mean all, like Marc Marquez does in this photo at the race in Qatar, 2013. Besides the bikes themselves with their 1000 HPs, prototype chassis and dream tires, there is also the magnificent artwork that each team incorporates in their ride: those beautiful green nuances by monster, Honda’s unforgettable orange, Yamaha’s elegant blue or Ducati’s white and red dream. 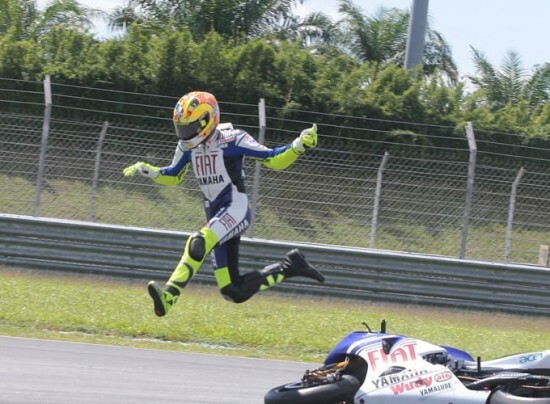 Ladies, gents, no matter what other pilots have done (and yes, granted, Lorenzo, Marquez, Stoner and Agostini have all whisked us away with their flawless championship victories), there is no doubt that Valentino Rossi’s drive for victory is something that will forever be legendary in Moto GP. This amazing pilot has never given up a race, no matter if he was in pole position or the underdog. And some of the best overtake maneuvers in Moto GP have been granted to us by Valentino’s commitment. No matter how small his chances. And such a friendly chap too. There’s this moment after the race where the spectators are allowed to storm onto the racing tracks. And what a grand moment that is. No such fan love at NASCAR. 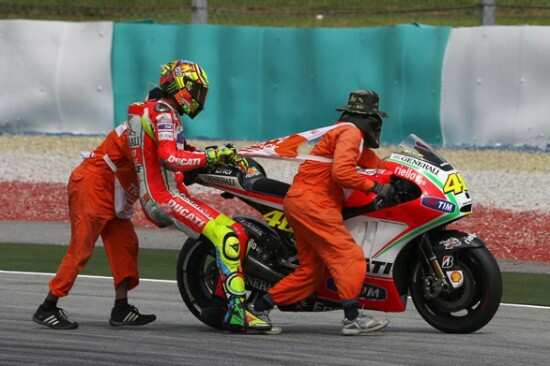 Whether Lorenzo versus Rossi, Lorenzo versus Stoner, Stoner versus Rossi, Marquez versus Lorenzo, the overtakes, the concentration, the clench of teeth when everyone is rooting for one pilot or the other is something that surely keeps you at the edge of your seats. This battle where Stoner takes on Valentino Rossi is eye candy for many Moto GP lovers and it will surely impress you too. It was only befitting to save the best for last and while men on power machines are certainly stupendous, their paddock girls are surely worth the attention they get before the race, at the start, and after the race has finished. And with good reason! Just look at these beauties, who wouldn’t want a ride with them? 10. 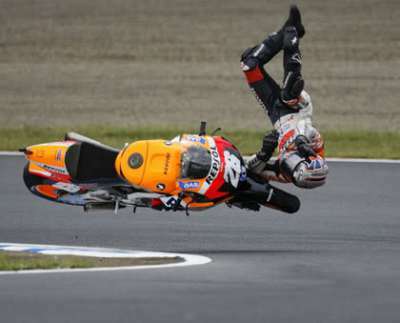 Oh and Did We Mention the Crashes? Now isn’t the sport just fabulous?? ?